Levni’s pictorial narrative of the Surname-i Vehbi, poet Vehbi’s account of the festival organized in 1720 to commemorate the circumcision of four sons of Sultan Ahmet III, is undoubtedly one of the masterpieces of Ottoman art and possibly the last great example of illustrated Islamic manuscript. Preserved in the Topkapi Palace Museum in Istanbul, the work is illustrated with 137 paintings that re-create the personages, settings, and events of an extraordinarily lively and enchanting age known as the Tulip period. to the first quarter of the eighteenth century, is renowned for its pleasure-loving social life and vibrant cultural activities with the court and the population of Istanbul enjoying endless nights in the waterside pavilions lining the shores of the Bosphorus and the Golden Horn, entertained by poets, musicians, and dancers. Above all it was a period of technical innovation and modernization as well as one of cultural revitalization that came to be known as the second classical age of Ottoman art and culture. Levni’s Surname not only records the history of this period but is also a part of that history. Printed in colour plus silver and silver, the first half of this sumptuous facsimile edition contains scholarly chapters on the historical and cultural settings of the age, Ottoman tradition of festivals and festival books, and analysis of the artist’s methodology in representing the 1720 festival. The second half of the volume with the illustrations is presented in the format of the original manuscript, that is, an Islamic codex which reads from back to front enabling the reader to follow Levni’s unique conceptualization of the pictorial narrative. Levnî and the Surnâme, by Esin Atıl, gives a spirited and vivid pictorial narration, from the brush of arguably the greatest of all Ottoman miniaturists, of the last great Ottoman festival. This was held in Istanbul in 1720, with all the splendour and magnificence for which the empire was famed. This event, celebrating the circumcision of Ahmed III’s four sons, was held at the height of the Tulip Period – the significance of which is far wider than a preoccupation with that particular flower. This was a flowering of all aspects of Ottoman culture, both artistic and technical – the introduction of a new, delicate architecture, expressed particularly in garden houses and fountains; a new style of ceramic art, and in 1727 the founding of the first Islamic printing press in Istanbul (too late, sadly, to record the festival). The inspiration for these innovations came from the sultan himself and from his grand vizier, Ibrahim Pasha, who signed the Peace of Passarowitz in 1718, bringing peace and stability to the empire, and quelling, at least for the time being, the Russian advance. Ibrahim Pasha also strengthened diplomatic relations with the European nations. Against this background Ahmed III held his magnificent five-day festival, and Levnî (Abdülcelil Çelebi) created a brilliant pictorial eyewitness record (appropriately, levnî means colourful). His work was to accompany a popular account by the poet Vehbi. Such is Levnî’s skill as a journalist that any words seem superfluous. However, Esin At›l has accompanied the pictures with a concise and informative social and political background, with useful explanatory notes for each miniature. 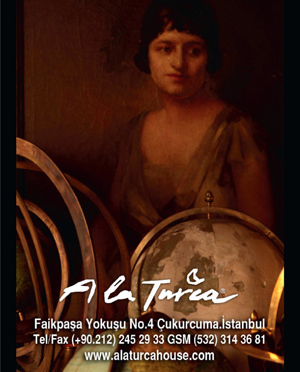 In her preface, Esin remarks on the two-way cultural exchange that existed at this time in Istanbul, particularly with France and the Hapsburg Empire. Lady Mary Wortley Montagu, whose husband was British ambassador to the Porte until 1719, much enjoyed the various events that took place. “’Tis true their [Ottoman] magnificence is of a different taste from ours, and perhaps of a better,” she wrote in 1718. The magnificence of the festival may have been expressed in the local idiom, focusing on life in Istanbul: the dancing, the feasting, even the attendance of the new fire brigade – all feature in Levnî’s miniatures. But the same spirit animated this festival as similar ones held in France and in the Hapsburg empire, or in the German states, where dynastic marriages were celebrated by splendid processions, pageants and festivities. They were held to cement the bond between the people of the city or country and its rulers, and to demonstrate to other nations their strength, wealth and influence. The message of power was reinforced at these festivals by lavish fireworks, which were enjoyed by Ottoman, French and Hapsburg subjects alike. Firework displays had a dual role: as amusement and as a symbol of war. Early writings on fireworks for entertainment were always to part of works on serious military firepower, and it was the director of artillery who organised firework displays for the courts. So there was a subliminal message for both enemies and allies in these great displays. Perhaps most importantly, fireworks were extremely costly and emphasised the difference between the people and their rulers. Fireworks for pleasure were reputed to have come from either India or China, and the Ottomans would have been familiar with such displays from an early date. However, at Murad III’s great circumcision festival of 1581, the fireworks, designed to represent an exploding hill, were organised by a Frenchman. (These had in fact become damp and did not have the expected effect. A problem with such displays, as with military campaigns, was that explosives were of varying quality and highly volatile.) It would seem likely that it was again a Frenchman who organised the fireworks of 1720. In the eighteenth century the French were called on to give advice on artillery to crack troops who were more used to traditional – and highly successful – hand-to-hand combat. At the 1720 festival, all but one display of fireworks were known to have been a success, and the source of much awe and respect. The French may also have played a part in Ottoman technology, especially the making of automata. In Levnî’s miniatures, we see automata, an elephant pulling a float, tightrope walkers crossing the harbour as the sultan and foreign merchants watch in wonder from the ships moored there. Automatas of a kind were been seen in ancient Egypt, but Europe saw its first in 15th-century city clocks, few of which have survived. At the castle of Hesdin, the garden of Philippe Duc d’Artois was entirely animated: birds perched in the trees, serenaded by mechanical musicians, all driven by hydraulic force. In Turkey in 1598 the sultan’s court was both amused and bemused about an organ, surrounded by automata, presented by Thomas Dallam on behalf of Queen Elizabeth I of England. Festivals were famous for their mechanical devices and in the early 18th century French automata-making was enjoying a rebirth. One feature of European festivals not repeated in Istanbul, however, was the subsequent publication of engravings to make the impact of their magnificence more widely felt. These engravings circulated throughout Europe and may well have found their way to the Topkapı. Although more than twenty copies were made of Vehbi’s poem commemorating the 1720 event, Levnî’s one and only copy of his brilliant miniatures has remained in the Topkapı library, available only to favoured members of the public. Now, for the first time, these exciting miniatures are reaching a wider audience, published as a single volume. And it proves an entirely satisfying experience.